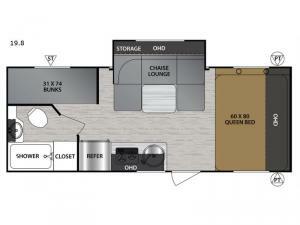 Looking for bunk beds for the kids, and a cozy queen bed for yourself in your next RV? 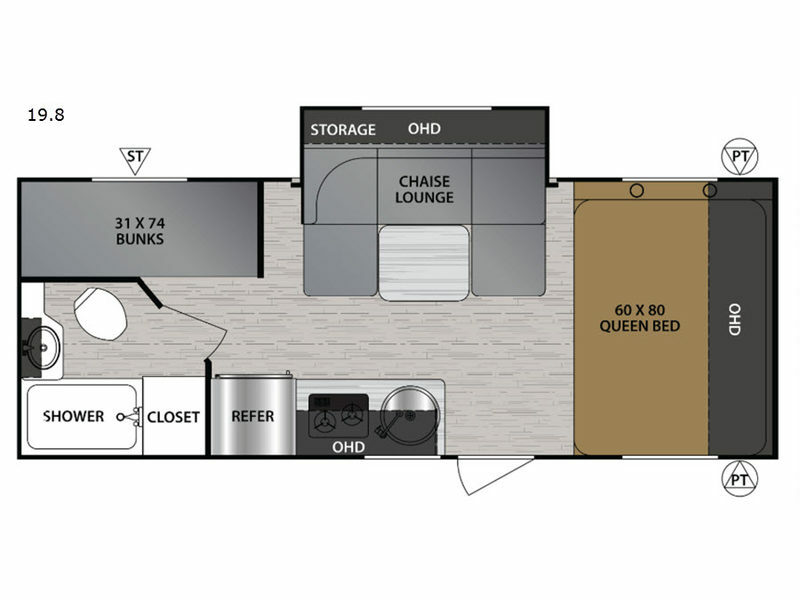 Do you need a travel trailer coming in under 5,000 lbs. allowing you to take adventures whenever you like? Then picture your family relaxing and eating at the chaise lounge with removable table and ottoman when you aren't playing outdoors. You will also find kitchen amenities to make warm meals, a full bathroom, plus a slide out for more interior space. And the kids will love the USB charging station to keep their electronics up and running.